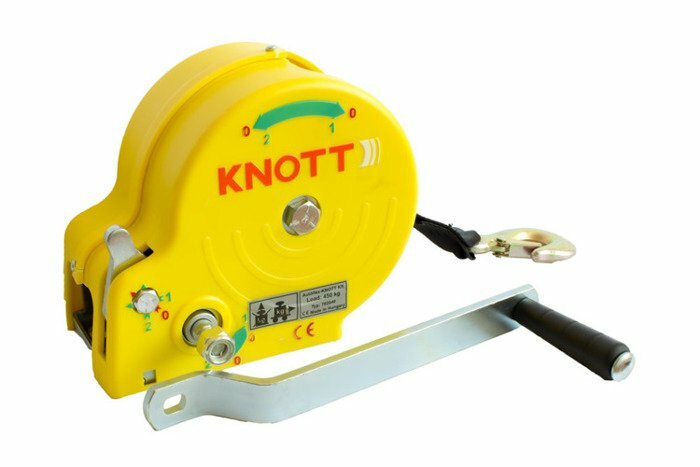 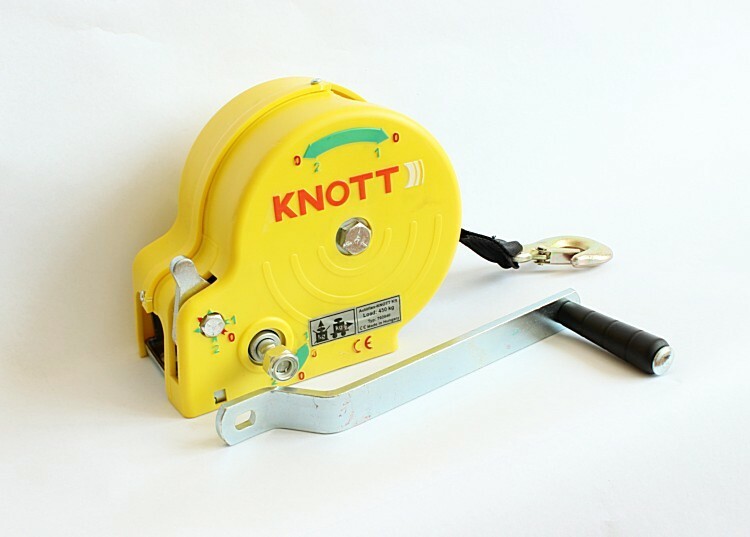 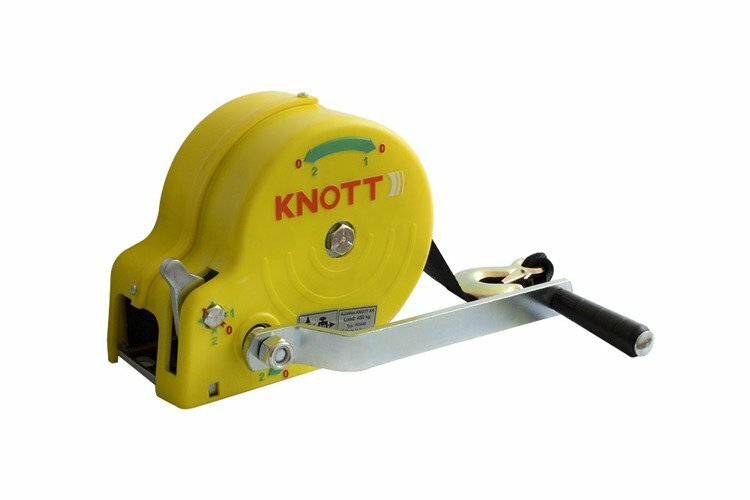 Hand winch Knott with maximum pull 450 kg for boat trailers. 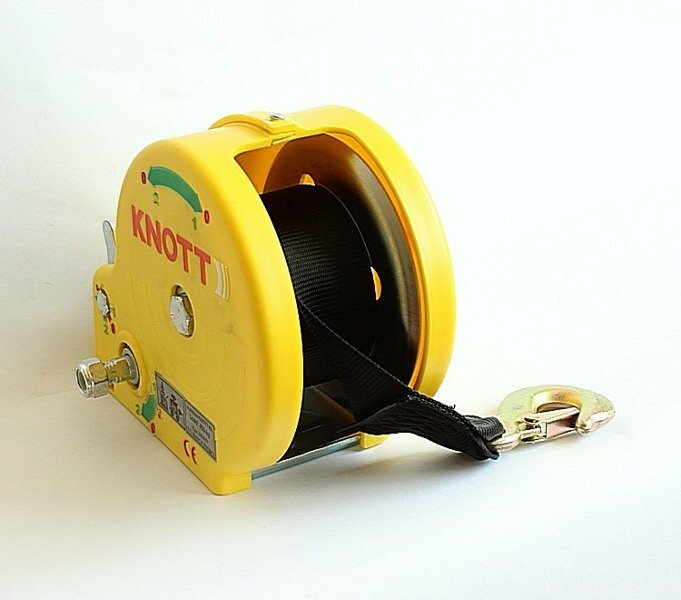 The winch has a screw-tight crank handle, a belt 7 meters long and a solid heavy-duty hook. 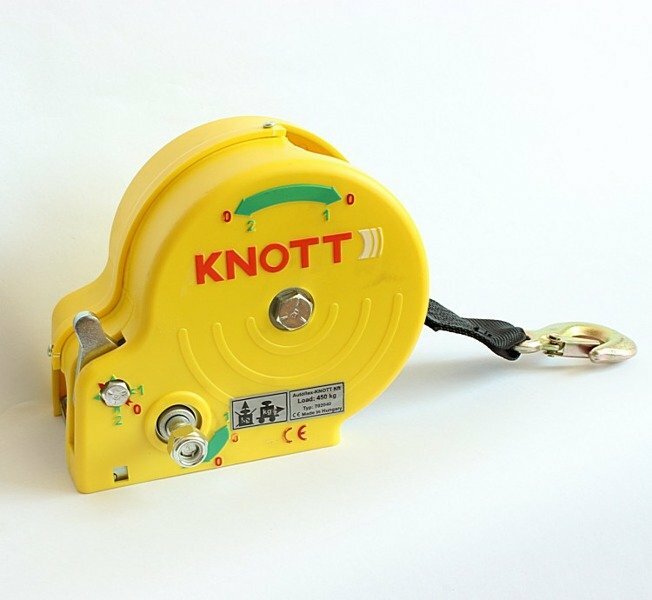 The winch has a gear to set.